New York (AFP) - A supporter of President Donald Trump pleaded guilty on Thursday to mailing crude bombs to prominent Democrats including former president Barack Obama and former Democratic presidential nominee Hillary Clinton. Appearing in court in a blue prison jumpsuit, and with his hair pulled into a gray ponytail, he apologized for his actions during an appearance in a US District Court in New York. "I know these actions were wrong and I am sorry," he told the court, in a barely audible, choked voice. "Our democracy will simply not survive if our political discourse includes sending bombs to those we disagree with," said General John C. Demers, Assistant Attorney for the National Security Division, following the hearing. "I applaud the efforts of so many in our law enforcement community whose alertness and tirelessness led to the prompt arrest of the defendant." 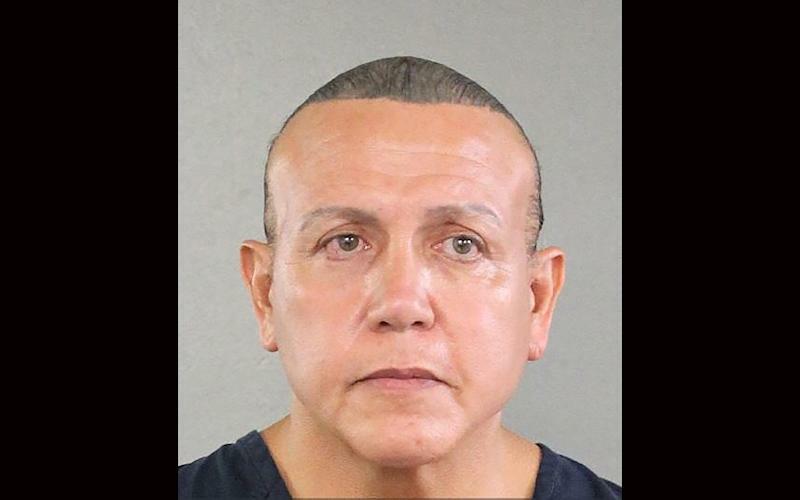 Sayoc had initially been charged with 30 counts, already putting him at risk of life in prison. His guilty plea does not guarantee a more lenient sentence -- but Judge Jed Rakoff stressed he did not have to hand down a life sentence in September.